Zen Masters and Tableau Ambassadors are some of our most esteemed, Tableau-loving community members. To show our appreciation, test their Tableau chops, and introduce a friendly competition, we decided to—you guessed it—run a viz contest to discover the best of the best when it comes to creating beautiful, inspiring vizzes. Competitors weren’t in it for just bragging rights: They competed for the opportunity to be featured on our website’s official Viz Gallery. Originally built to show the power of Tableau, the Viz Gallery inspires creativity and demonstrates what visual analytics makes possible. We gave participants free reign over what data to use, and what to viz about. Our only ask for them was to keep their analyses straightforward, so that even a Tableau beginner could take the resulting viz, reverse-engineer it, and improve their skills by learning how it was made. We received over 20 submissions within a week of announcing the contest. Judges focused on visual appeal, creativity of chart types, and data analysis techniques used to discover compelling insights. Many submissions were excellent, and it was impossible to pick just 5 winners… so we picked 7. This viz is the perfect example of making analytics simple, but not simplistic. 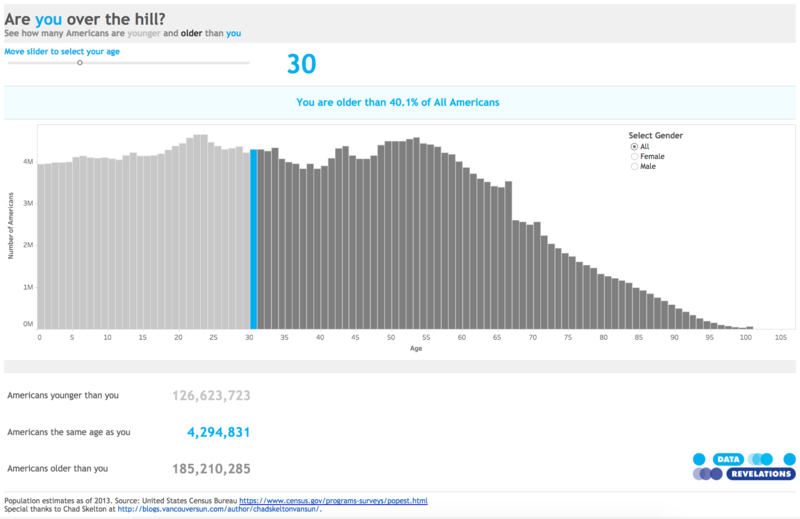 Explore to see how your demographics compare with American ages and genders. Anthony Gould visualizes race results of the top 5 teams in the Race to Alaska, a 750-mile boat race starting in Washington state. 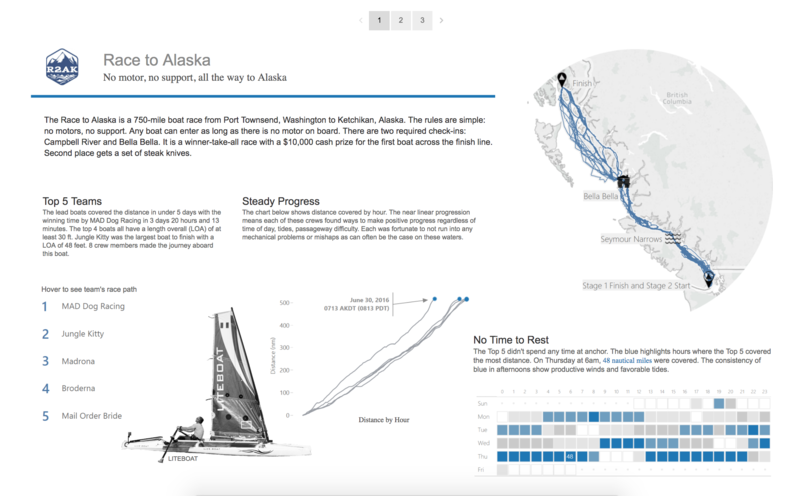 Follow the teams’ journeys to the finish line with this viz, which analyzes exact routes, distances traveled, and how elements like wind and water currents affected a boat’s progress. This viz provides a recap of the most notable news stories from the summer of 2016. 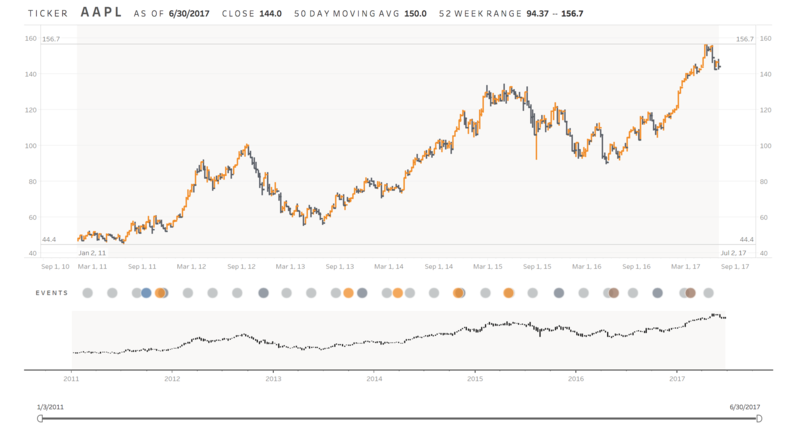 Basic Tableau features, including line charts, bar charts, and custom shapes, are expertly combined to create a detailed narrative of headlines from all over the world. 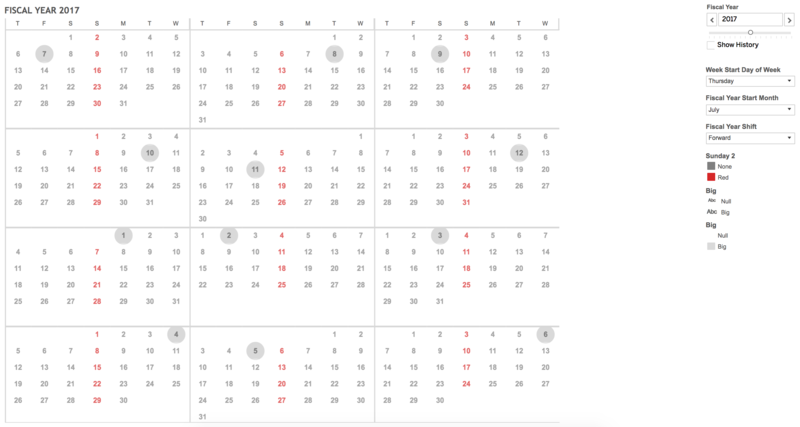 Shinichiro Murakami created a customizable Fiscal Year Calendar in this viz, bringing interactivity into a typically static document. Parameters allow you to establish characteristics such as the first month of the fiscal year, or first day of the week, to suit your needs. Tableau’s clustering feature and a clean dashboard design make this viz shine. 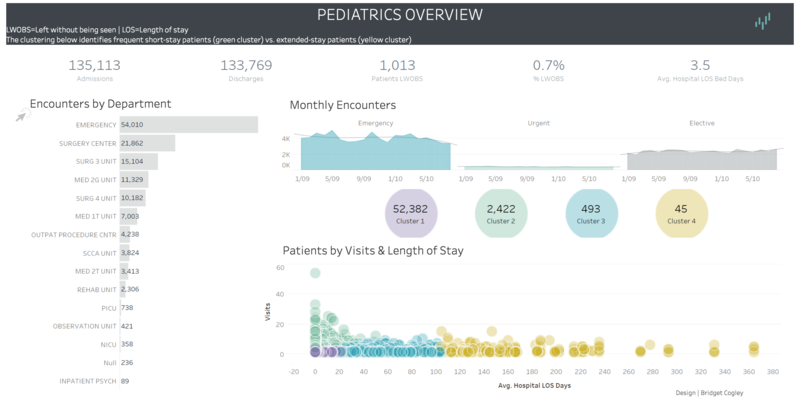 Clustering is used here to uncover insights in hospital data and provide an overview of pediatrics. Explore this viz to discover patient demographics and trends. This viz does an excellent job of visualizing the past 7 years of Apple’s stock data. Explore the relationship between high impact events, and see how stock prices rose and fell over time. We love how clicking on an event bubble highlights the time frame above as a clear visual reference. This corporate-style viz is a different take on the classic Tableau Superstore data set. Quickly spot increases or decreases in sales, profit ratio, and shipping time, and switch to the Prescriptive tab to pinpoint root causes. This dashboard is a perfect example of how to get the most out of any data set. We wanted to say thank you to all of the Zen Masters and Tableau Ambassadors who participated in this contest. It’s having a community like ours that makes investigating data and sharing analytical stories so fun and impactful. Check out all of the winning vizzes—and more—on our Viz Gallery, here. And, once again, congratulations to our winners! 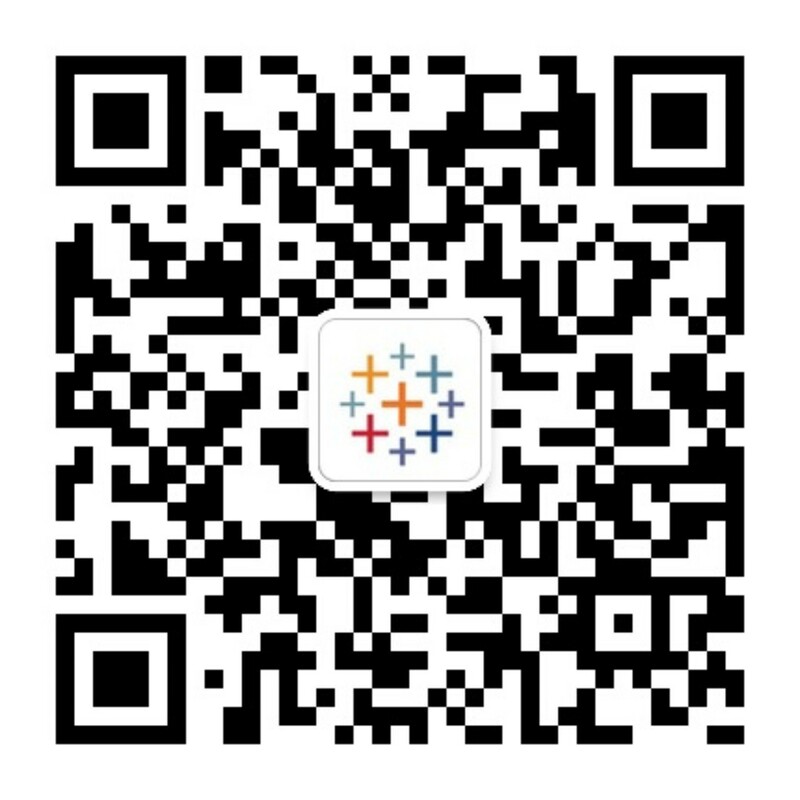 Tableau Community: Sign up to connect with and learn from your peers. 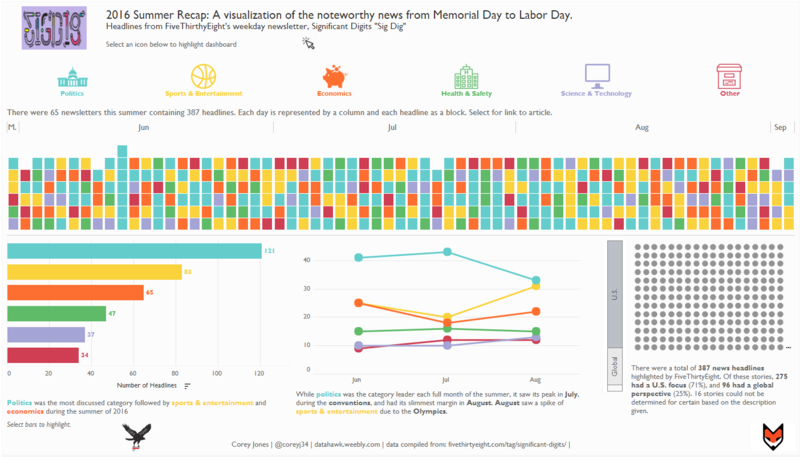 Makeover Monday: Join the recurring viz contest and get viz-spired. Check out your local Tableau User Group. 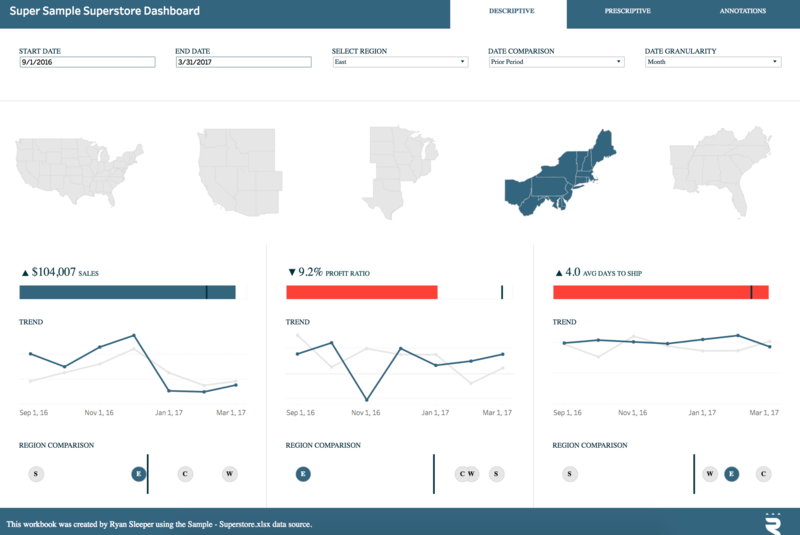 Read 10 Best Practices for Building Effective Dashboards.